It was raining all day, but for some reason, we felt like going out to have dinner and see a movie. We passed by this interesting restaurant and told myself I wouldn’t go back to Manila without eating there. We only have a couple of days left in Cebu so we wanted to make the most of it. The restaurant is owned by an Australian Chef and his Filipina wife. We were seated beside their son who I think was studying. Looking at him made me miss home. It reminded me of the times that I would come home from school and see my siblings studying in the living room. Haaaay, only a couple of days and I will be reunited with my family again! I am having mixed emotions about it. The restaurant was not too busy when we went there. Probably because of the weather. Good for us though because we got our food pretty quickly. I always get inquisitive on how my food is being prepared.So dining in an open kitchen restaurant makes me really excited because I could see all the action. You can never go wrong with anything mango when in the Philippines. Canvas is a bistro bar and gallery. There are beautiful portraits on the wall for everyone to appreciate. If I am not mistaken, I believe they are for sale too! I loved this! Just the kind of pate that I was expecting. The crostinis were toasted perfectly! A lot of people don’t pay attention to this, but if your crostini is bad, it doesn’t matter if your spread is AMAZING, the entire dish will be ruined. Chicken served with brown sauce, sauteed veggies, and mashed potato. Since I’ve been devouring myself in quesadillas during my stay in Cebu, I couldn’t resist this! It was one of the best quesadillas that I have eaten in Cebu….surprisingly from an Australian inspired restaurant. I remember only having a bite and giving this to my friend. I am not a fan of this. I loved this so much! Apple + Cinnamon are so perfect together 🙂 Eating this with vanilla ice cream really made the dessert even better. After the movie, we still hadthe urge to keep the night going. 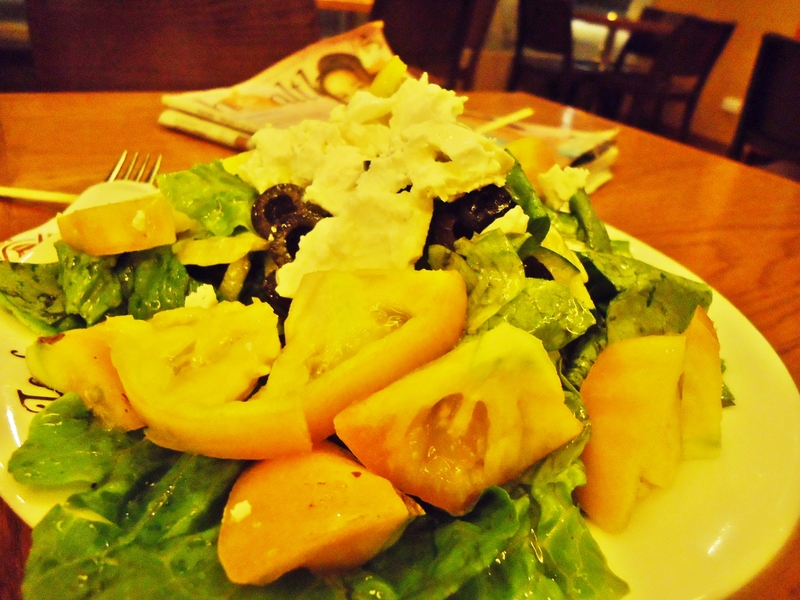 Malls in Cebu close earlier compared to our malls in Manila, so we ended up eating a salad at CBTL.